You will be surprised by how secretive Parisians can be. Maybe they are not willing to share the hidden gems with you (the tourists, we assume) because you know, they are just too good to share. Or simply maybe they didn’t have any chance to share with anyone before. Sometimes, it does feel like there are two sides of Paris: Paris for tourists and Paris for locals. But today, this wall is about to be taken down because the best of best hidden Paris attractions are about to be introduced. Tour by locals can be predictable in Paris because a) Paris is the most visited city in the world and b) guides might assume that tourists will only be interested by well-known Paris tourist attractions. There are many ways to look for the best Paris tours when you are visiting Paris. Before we kick off our local Paris tours, we thought that it would be appropriate to bring you a piece of Zen you never knew it was missing in your system! They are perfect for people who are tired of well-known Paris tourist attractions of parks and streets and up for more hidden Paris attractions! 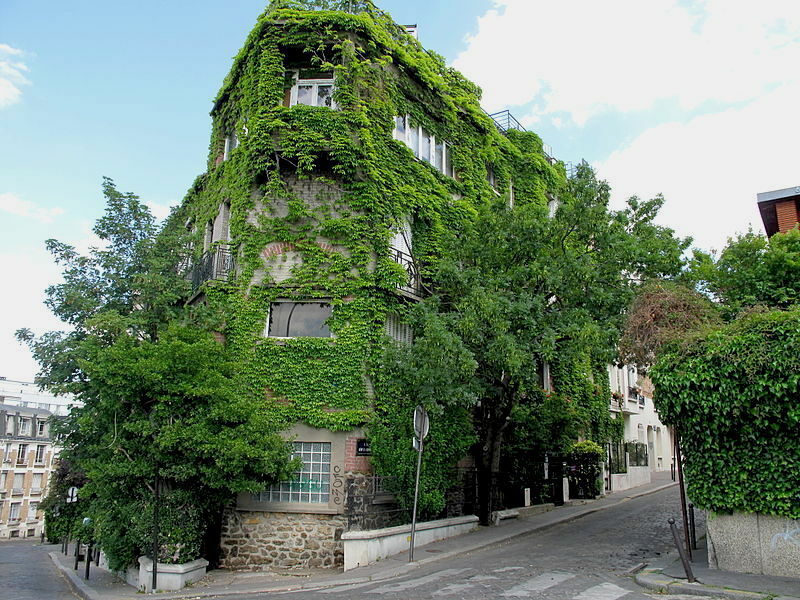 Also, Paris can be the next destination for Ecotourism so you should definitely check it out too! This would be nostalgic walking Paris tours because it is said to be the last village left in Paris. And surprisingly, not even many locals know about this little village so not usual tours by locals will never end up in a place like this. But as you know, we are not the usual tour guide. Its tranquility full of Parisians’ spirit will definitely make you feel like the side of Paris for locals! Go and have a promenade in the neighborhood but still, do try to respect the residents! Here comes Venice tours by locals. Yes, that’s right! 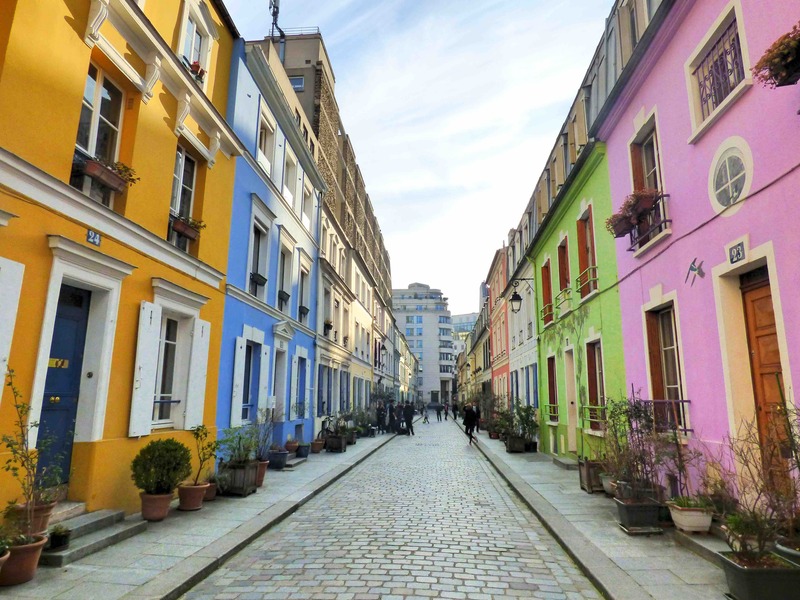 This street in 12 arrondissements will make you feel like you are at Burano island in Venice. The locals prefer that we do not uncover this place because as you can see, it is little hidden Paris attractions! But regardless, it is one of the best streets in Paris where you can take the next Facebook profile picture. We cannot emphasize enough how meaningful these tours by locals can be. Widetrip offers fun but also very enriching treasure hunt of SSE tours (Social and Solidarity Economics). Flora, your local Paris tour guide will bring you to various local players such as companies, projects and associations around districts to learn more about their environmental and sustainable development practices. Yes, there are many beautiful Paris tourist attractions but we must say, touring about social economics of Paris is pretty cool and one-of-a-kind local Paris tours! This little teashop is never to be underestimated by its size! It serves one of the best tea, pastries and ambiance in Paris. Because we believe that true hidden Paris attractions shouldn’t be extravagant but rather simply chic. 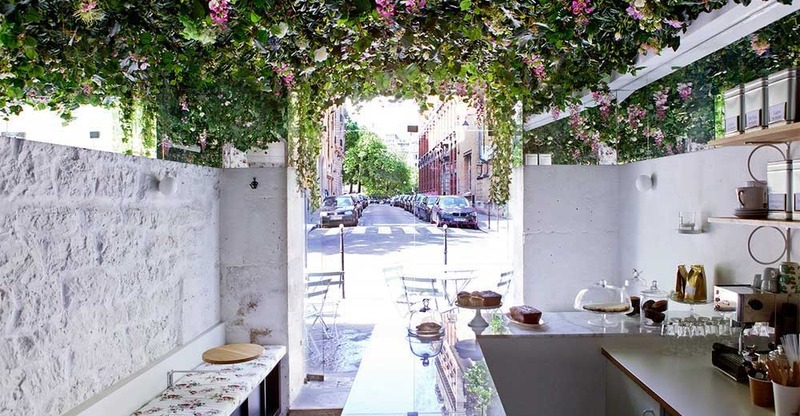 Located in the Marais district, it has a ceiling full of flowers which provides such tranquility that you wouldn’t want to leave once you step in! If you want a little tip from today’s local Paris tours, do not miss on their matcha cake. We do not have sea nearby but we do have a lighthouse. 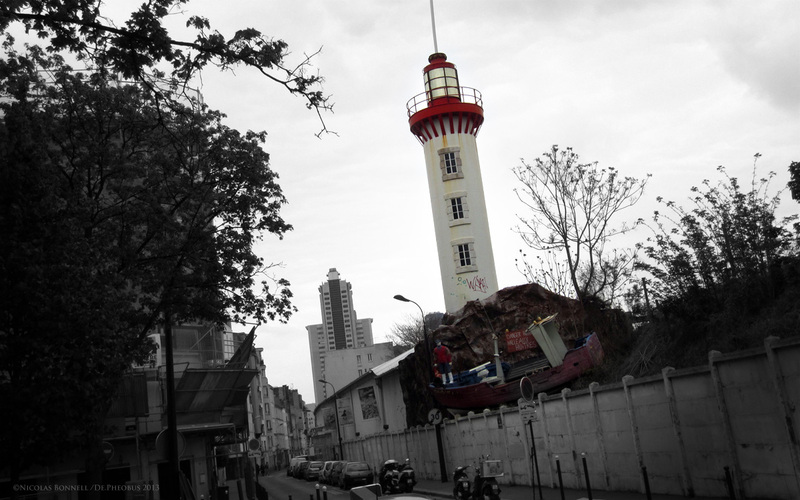 Brought to you by best Paris tours, this Breton lighthouse is part of “La Criée du Phare” fishmonger located in 15th arrondissement. This fishmonger once sold largest amount of fish, shellfish, seafood and fruits and vegetables too. Next to the lighthouse you can also see the decoration of fisherman and his boat proudly standing in its quirky details. Not many tours by locals will lead to this destination because not many locals didn’t know either! Hold on! A farm? Yes! This time, we are taking walking Paris tours around the farm right here in Bois de Vincennes. The farm was created to both educate school children about the farm life and also Parisians who miss a drop of countryside. 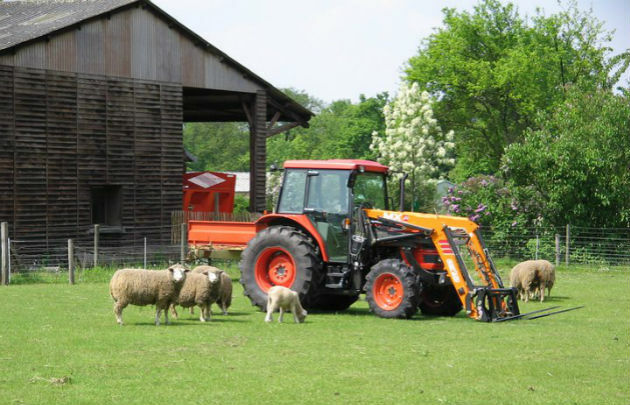 You can experience the authentic farm life here with cows, pigs, calves and rabbits! However, the farm is open to public only on weekends in the afternoon. And if you wish to continue tours by locals to add more piece of countryside in you, join us today to discover the lost river of Bièvre with rural space full of wildlife! We can’t end Zen Tours by Locals until we understand Wallace Fountain. 50 fountains were funded by the wealthy English man, Richard Wallace after Franco-Prussian War in 19th century. France was in the middle of reconstruction and water price was rising which made lower class population difficult to have clean water. Hence, Sir Richard Wallace initiated the project to provide clean water throughout the city of Paris by constructing fountains. 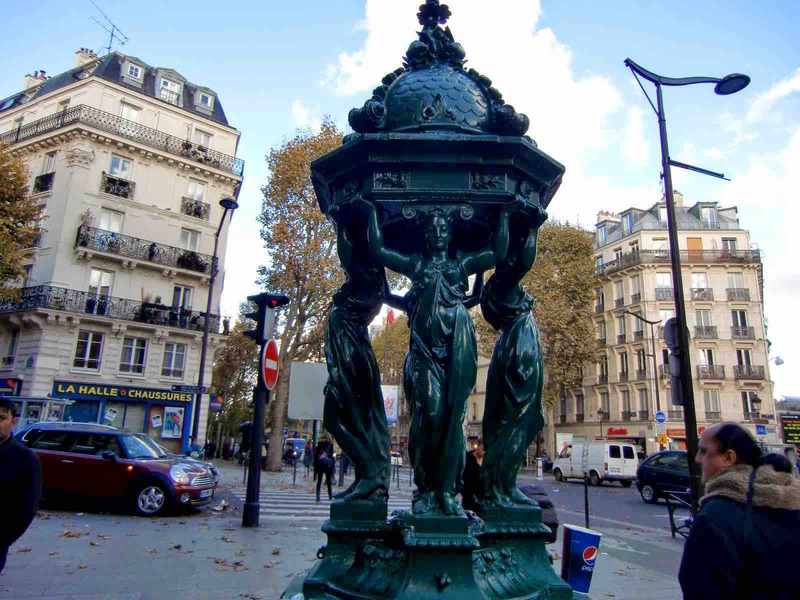 Although these fountains are one of the known Paris tourist attractions, the meaning and the story behind is still considered as hidden Paris attractions! 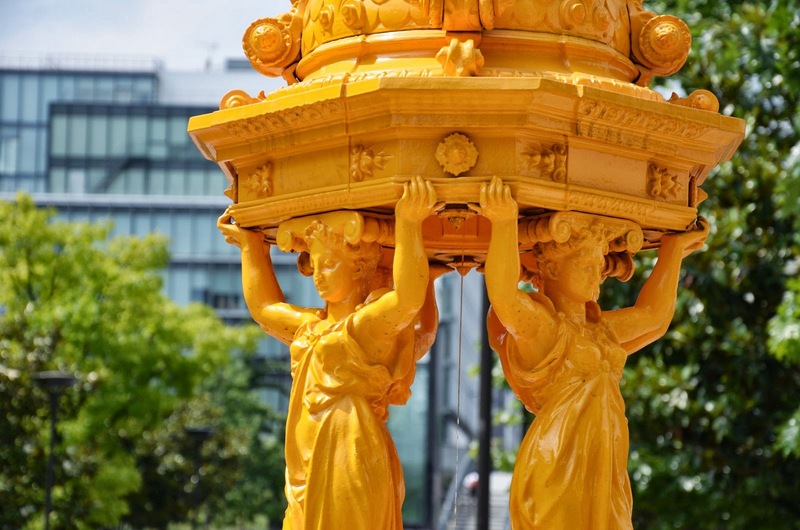 Most of the fountains are in green colors but do have a walking Paris tours around these locations in 13th arrondissement to spot colorful fountains which were recently painted: Rue J. Anouilh for Pink Fountain, Avenue d’Ivry for Red Fountain and Place Verlaine for Yellow Fountain! 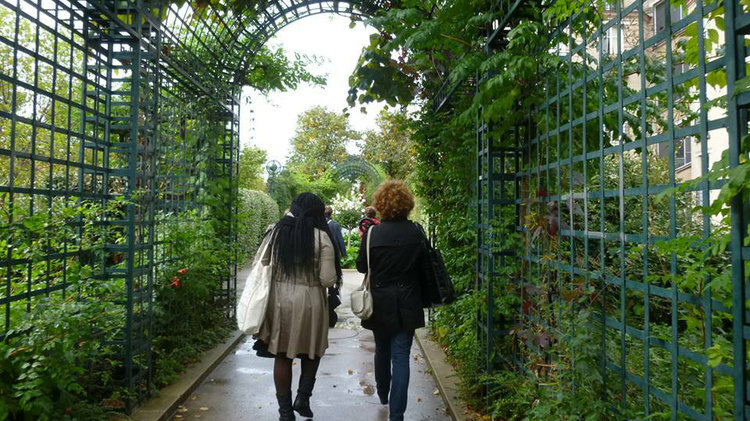 And before we move on to Action-Packed Tours by Locals, if anyone wishes to continue with finding more Zen in Paris, do join us for tour by locals at Jardin des Plantes. You might say that it is not one of the hidden Paris attractions, but the secrets and stories told by our botanic expert is definitely worth your time! Walking Paris tours require some actions but we are not here to talk about those. These action-packed tours by locals are filled with adrenaline, amusement and wildness! We must say these hidden Paris attractions are not difficult to find but still, remained as activities in Paris for locals. We also propose 30 Manly Things to do in Paris if you are one of the active adrenaline-seekers! Isn’t this one of the best Paris tours? This tour by locals will unveil all the darkest secrets that Parisians did not dare to share with you. 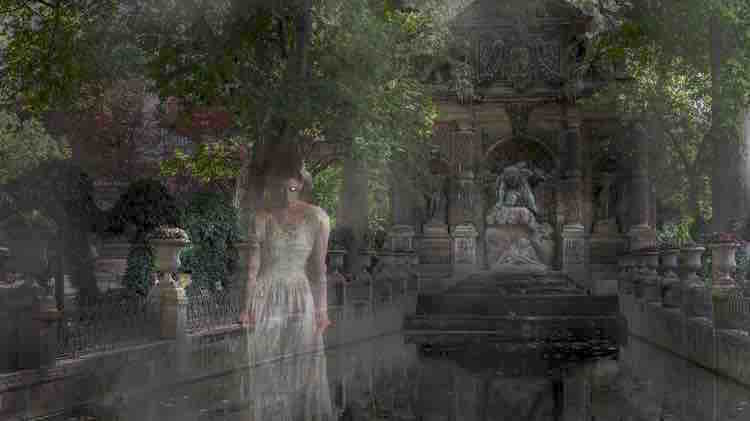 Paris is full of untold secrets about ghosts, myths and legends. We understand that you have already visited most of the Paris tourist attractions and admired its beautiful looks but we bet you were not aware of the dark secrets behind its beautiful looks! And during this tours by locals Paris will be unveiled in a spooky way! But if you would enjoy more of mysteries of murders and tragedy around Paris told by expert in urban legends, check out our mysterious walking Paris tours too! This French traditional game is not only played by old people anymore. 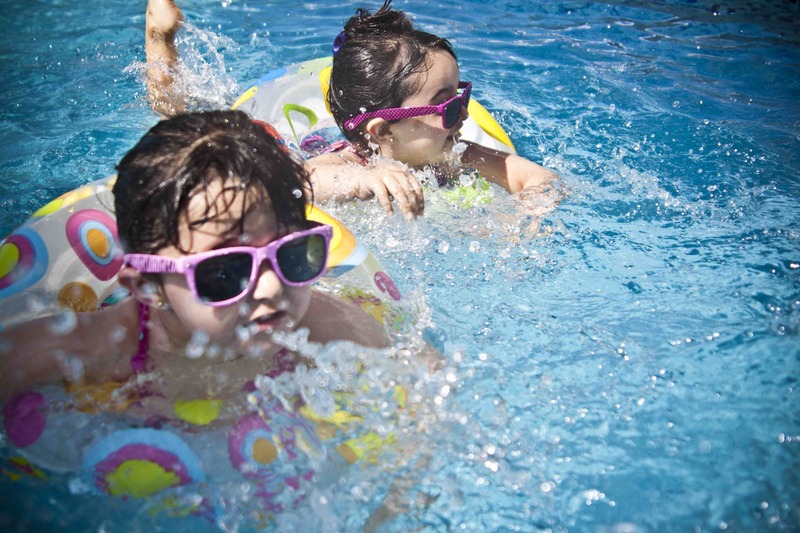 It is trending very rapidly among the tourists and young locals. So it comes as no surprise that we are offering exclusive Pétanque local Paris tours to share secrets about Pétanque! You can easily find the rules of the game online. And once you are ready you can either buy those “Boules” at sports shop like Decathlon or the professional Pétanque provider, OBUT! You can play Pétanque along the Canal Saint-Martin or the Port de l’Arsenal. But today, we are here with something more special. 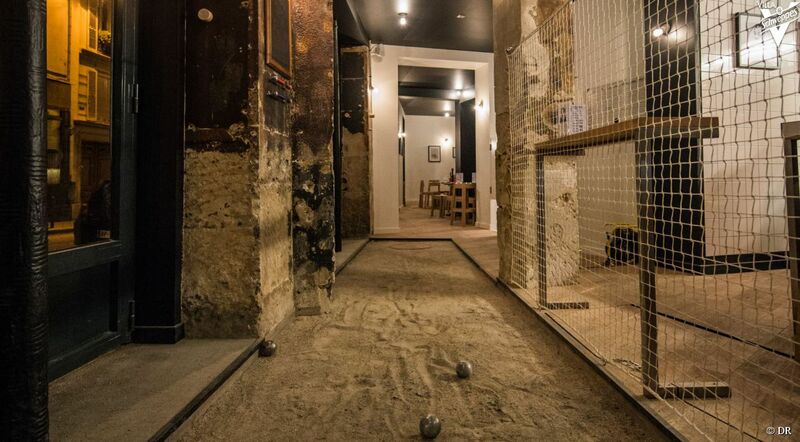 Chez Bouboule is the restaurant/ bar dedicated to Pétanque enthusiasts. 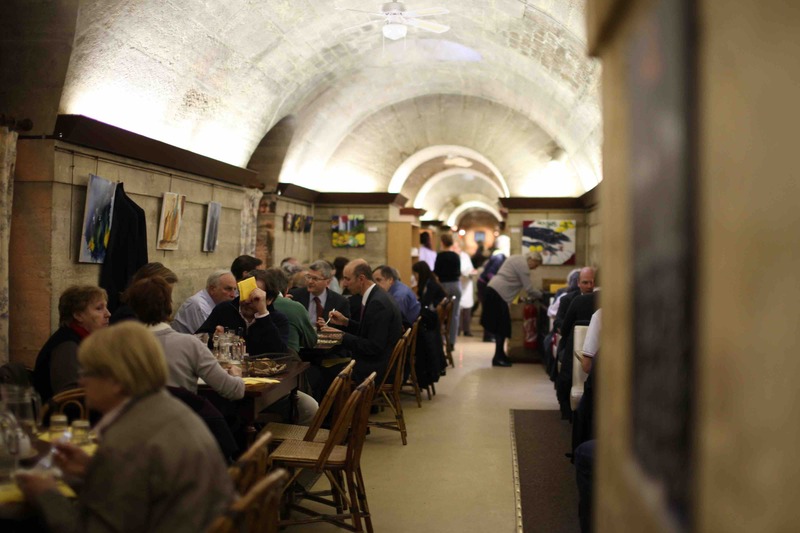 You can enjoy indoor cozy atmosphere equipped with Pétanque space! 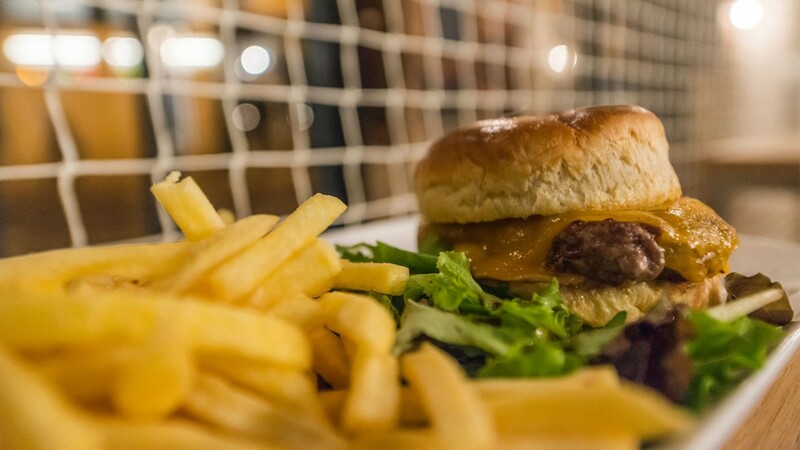 And we strongly feel that this is the place to spend your evening if you have some friends visiting Paris from outside France to teach them and play Pétanque with and enjoy a plate of charcuteries and fromages! Located in Pigalle (9th arrondissement) and Montorgueil (2nd arrondissement), its doors are open from Monday to Saturday from 17:00 until 02:00. From supermarket to sanitarium, there are many abandoned places in Paris that are worth visiting. 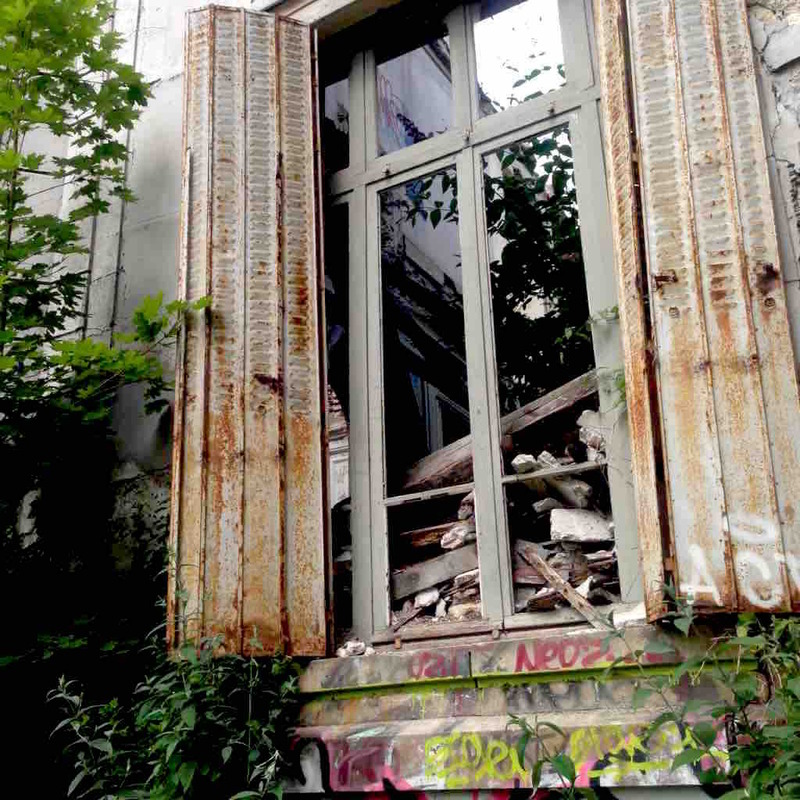 Have a walking Paris tours in these abandoned hidden Paris attractions. 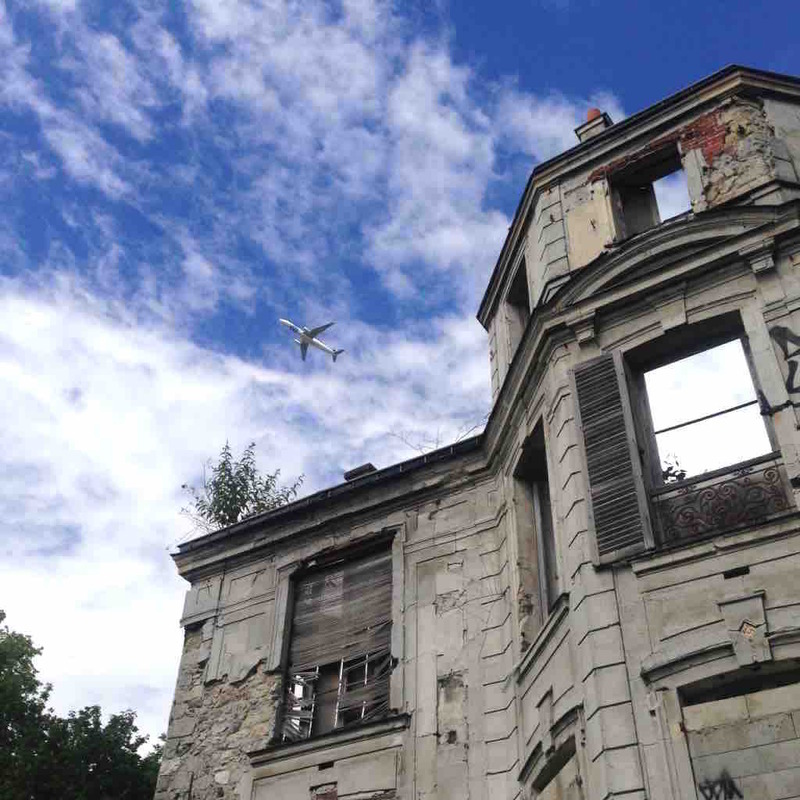 Do visit Goussainville near CDG airport to see how abandoned houses and young residents co-exist! You can also visit former slaughterhouse and former sanitarium to feel the history and the actions that might happened before it was abandoned. You could also have walking Paris tours along Petite Ceinture, the abandoned train tracks. If you are one of those people who do not like to be stuck in indoor gym but still in need of work out coach? Look no further. Let today’s guide of tours by locals Paris introduce the ultimate outdoor work out session with the professionals. 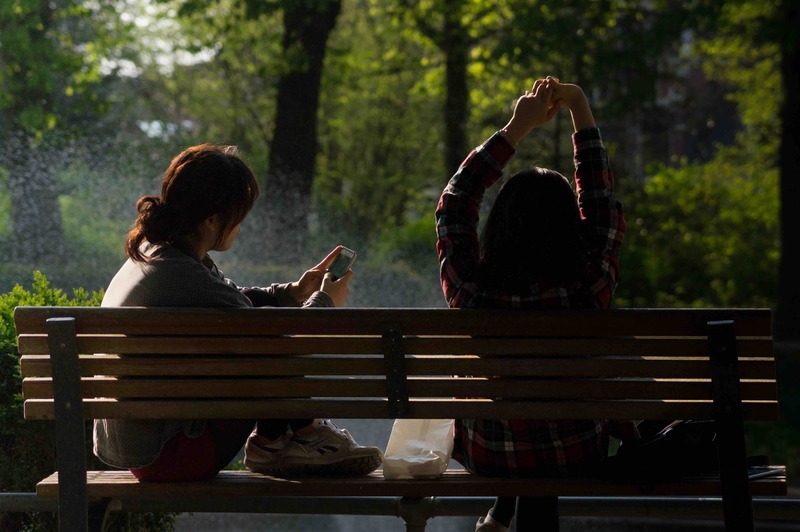 Urban Challenge, like its name suggests, provides activities of physically challenges in the urban spaces including parks, outdoor space in the neighborhood. From work out on specific areas to jogging together, the activities can vary in different locations such as La Défense, Jardin du Luxembourg or Bercy. Ring Ring Ring. Last Round. We are going to end this Action-Packed Tours by Locals strong and right at La Lucha Libre. Come down to this bar to have a match of your lifetime. 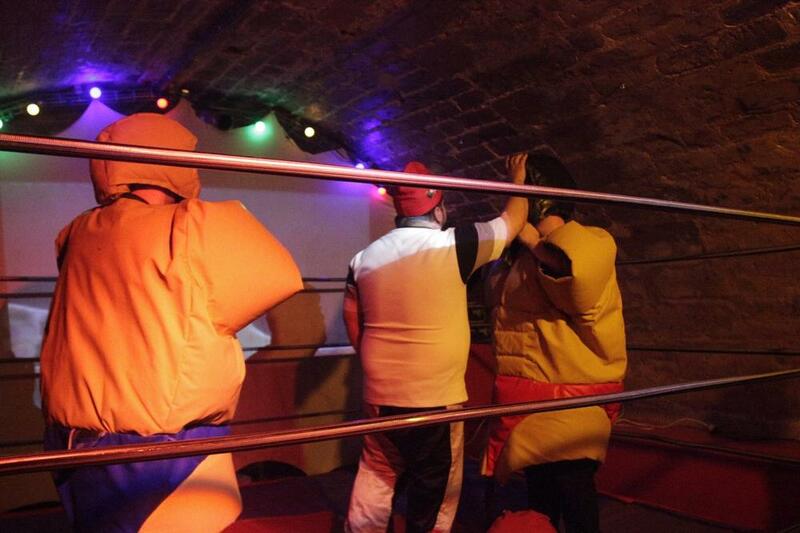 All you have to do is take pint of ice cold beer and wear the fat suit for the protection and FIGHT in the ring! Isn’t this one of the true hidden Paris attractions? Open Ring is open for everyone everyday from Tuesday to Saturday. it will cost as little as 1 euro on Tuesday and Wednesday, 2 euros on Thursday and Friday and 3 euros on Saturday. Also, mark your calendar for first and third Friday of the month because pro wrestling show will happen here. These tours by locals are for the arts and history lovers! We agree that Louvre or Musée d’Orsay are the must-visit Paris tourist attractions. But these places below are definitely worth visiting and they have been kept as secrets until now! Also, if you are an art lover, how about having a walking Paris tours in these impressionists’ paintings where Paris was the main subject and how these places look like now! And after looking at those impressionism paintings suggested above, if you ever feel like learning how to draw the scenery yourself at Montmartre, important source of inspiration for impressionism, join Widetrip today and we will teach you! 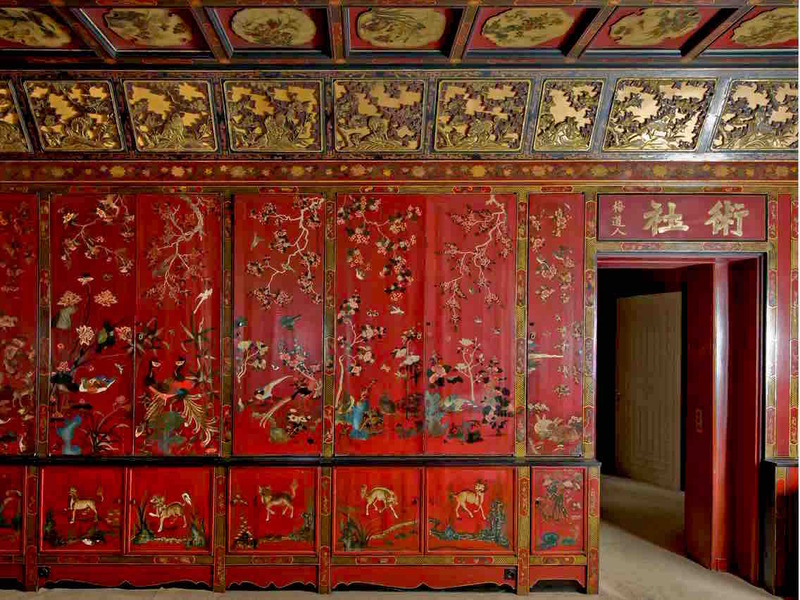 Founded by Mr. Ching Tsai Loo, the well-known Chinese art collector in 1925, Pagoda Paris is still a creative space for Asian arts, especially Chinese. 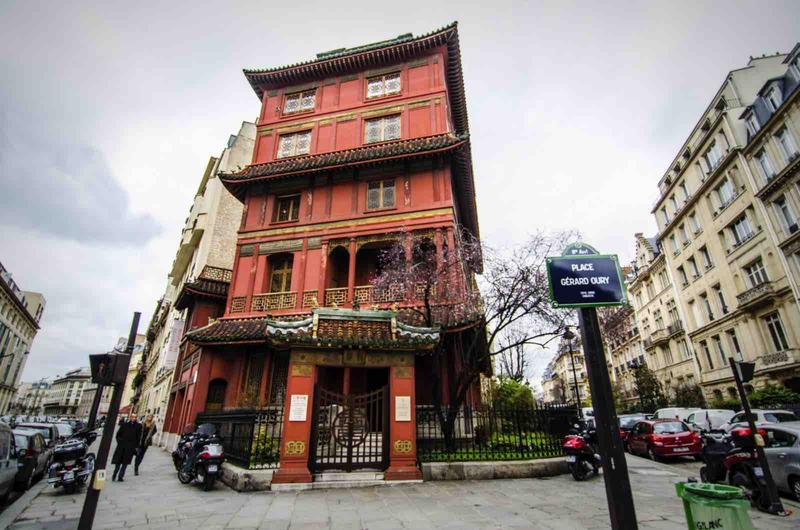 This beautiful red pagoda in 8th arrondissement might not be listed as Paris tourist attractions but it is worth your visit. Do visit their galleries with full of collections from Mr C. T. Loo and also the special exhibition going on. Because of the unique and sophisticated exterior and interior design, many of the private events are organized here such as cocktail reception, conferences, photo shoots and even fashion shows. L’Archipel is “a place of collective innovation”. Housed in the chapel as spacious as 600m2, the building was built in 19th century. It is a space to read second-hand books, to eat local food and to drink good coffee at very affordable prices and to attend endless list of enriching events such as yoga or art cinema all for good cause. Continuing with Widetrip tour by locals, here is one of the most interesting and insightful tours by locals you can find! We are having a photographic journey to capture the balance between monochromic industrial site of Paris and colorful and vibrant cosmopolitan site of Paris. 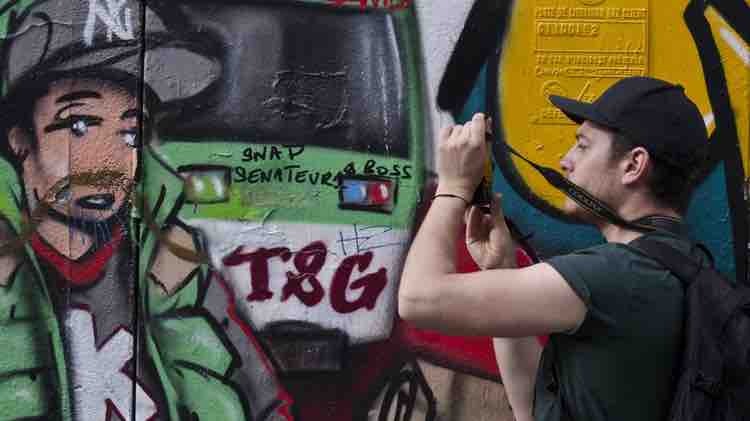 You will get to experience the side of Paris for locals through your lenses guided by a professional photographer, of course! And if you wish to continue your photographic journey elsewhere, check out the list of activities you can do in Paris with your cameras! We bet you didn’t know that there is a Roman amphitheater in the city of Paris until this tour by locals! This is one of most significant remains from Gallo-Roman era in Paris. This ancient amphitheater was for gladiatorial combats and could once have over 15,000 people. Well, this might not be one of the best Paris tours you can encounter but, you will certainly feel different here than all the romantic Paris tourist attractions. Nothing says Paris like a little drop of diversity. Let our walking Paris tours to bring you to a little Sri Lanka street. Visiting exotic shops selling Saris or Hindu temple will bring you right into exotic part of Asia. Or, you can also join one of the tours by locals from Widetrip to explore this neighborhood as well as learn how to take beautiful photos. 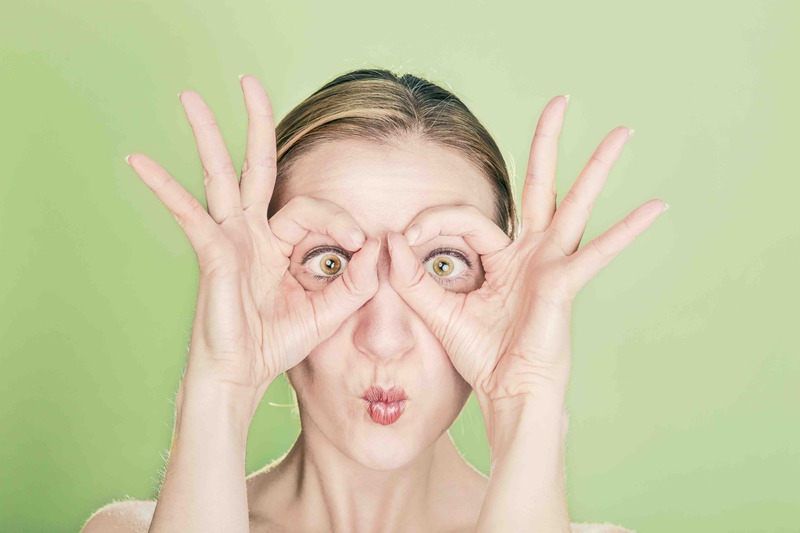 The reason why we decided to add this tours by locals is that not all the Paris tourist attractions are romantic and when there are hidden Paris attractions, it could get a little bit more bizarre yet more interesting and of course, FUN too! 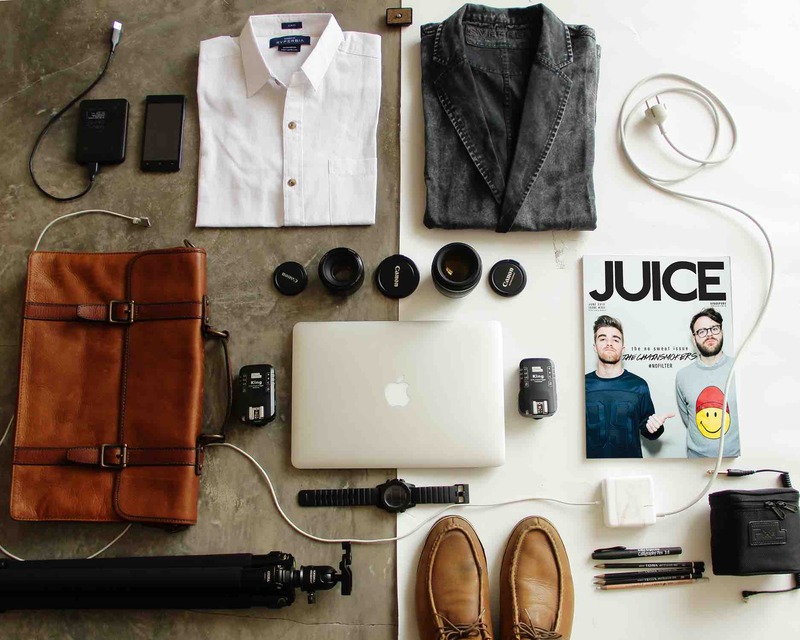 Also, Widetrip has some ideas for you to spend unusual weekend so, do check them out too! 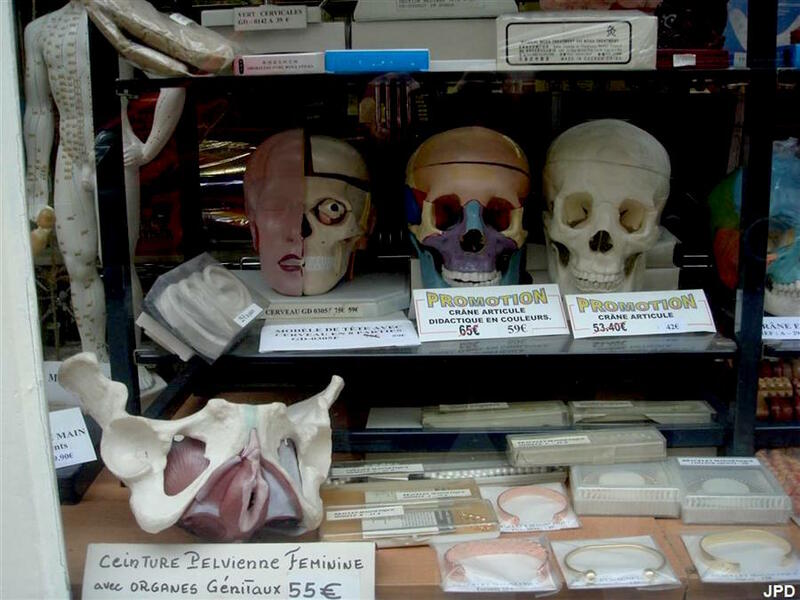 Some might say bizarre but we think that it is one of the most interesting hidden Paris attractions. 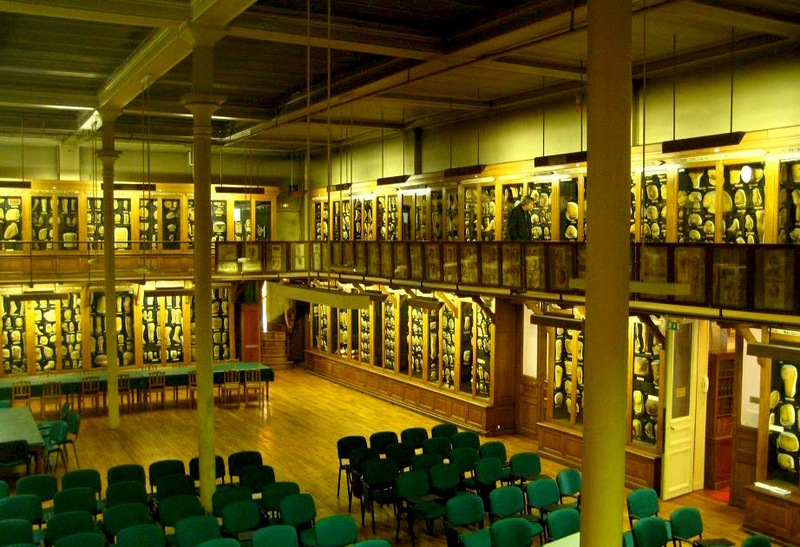 This museum is situated at the Saint Louis Hospital and exhibit plaster casts of skin, skin diseases and any skin infections models from 19th century to recent years. It is an educational place so technically the visits are only allowed to medical students or professionals who have requested a visit. However, you can still try your luck by emailing them to make the visit! If there is not much of an effort involved, what’s so fun about this tour by locals? Must-visit spot from bizarre tours by locals! It is a Chinese medicine equipment store situated in 6th arrondissement. You can get a set of acupuncture, books about Chinese medicine and even anatomical body models with description all written in Chinese! And even if you don’t want to purchase anything, it would fun to walk around the shop! To some people, this might be one of the must-visit Paris tourist attractions. And to some people, it might come off as a little bizarre and unusual. Nevertheless, it is still lesser known to most of the tourists so we decided to include in our tours by locals list! 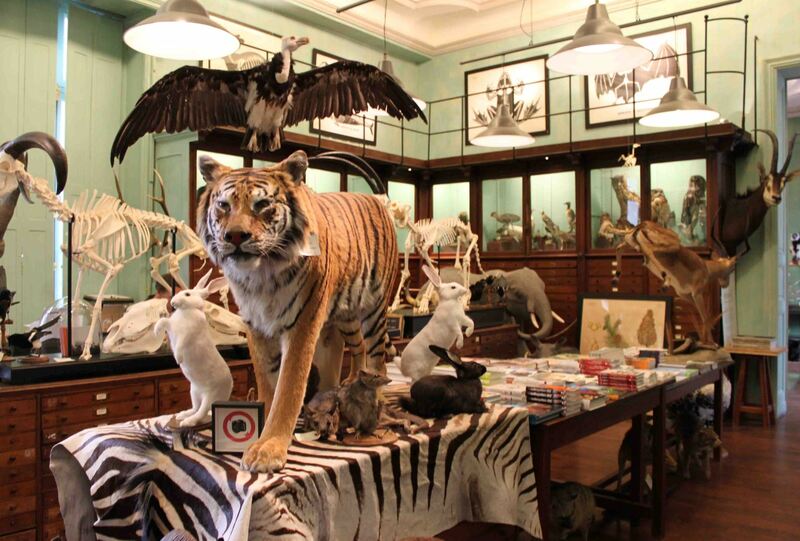 Deyrolle is one of the most well-known taxidermy shop in the world. Situated in the 7th arrondissement, this two-story house carries 170 years of history and heritage. It is not only a shop but also a museum and a creative space. 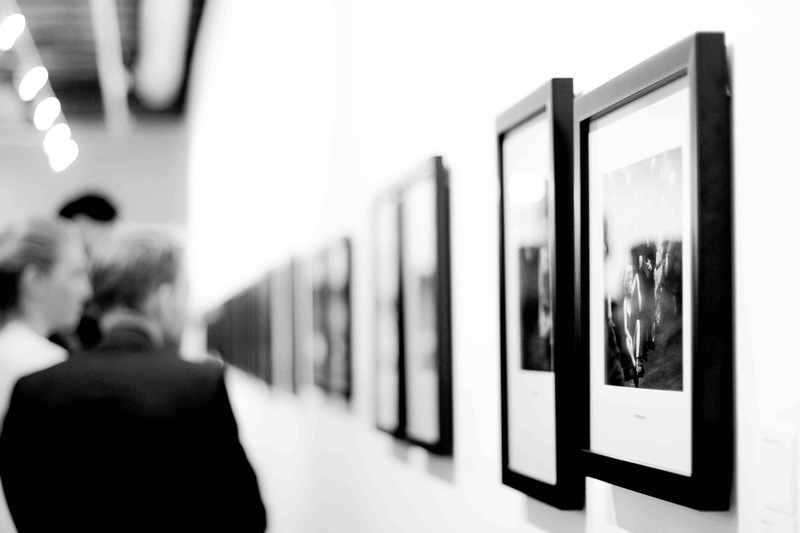 Deyrolle also collaborates with artists to provide some exhibitions that you cannot miss! * Julien Aurouze and Co.
To make this the best Paris tours, we brought Julien Aurouze and Co. with us, the pest control shop. 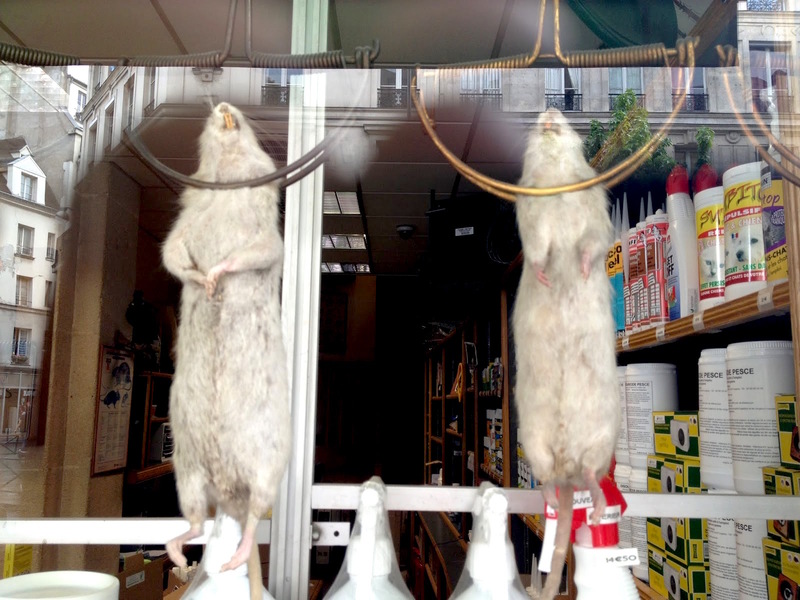 It could have been remained as hidden Paris attractions for long time but thanks to the unforgettable window display of hanging dead rats in the trap, it made it to our tours by locals! It carries history and expertise since 1872 and still, they are one of the most reliable in Paris when it comes to pest control. There are millions of shops for you in Paris. But we bet you never expected to find these shops here. Tours by locals Paris will be well-equipped with these gems. 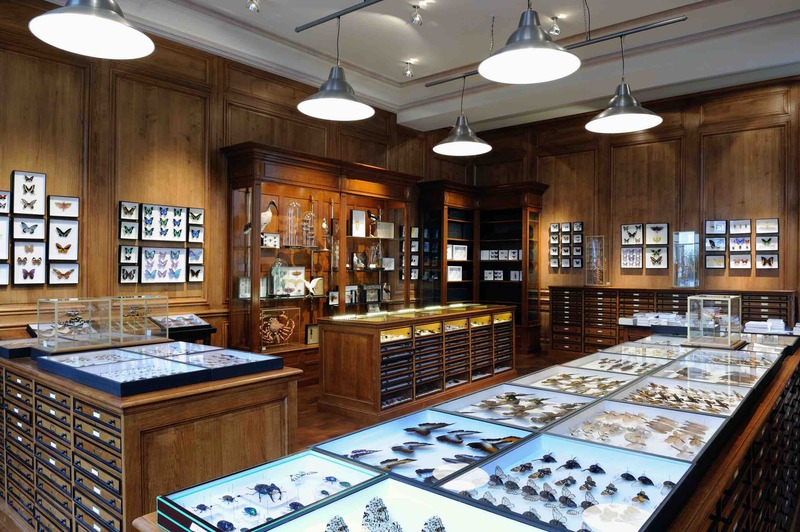 Whether you are looking for something to bring back from Paris as souvenirs or just want to shop at hidden Paris attractions, you should definitely pay a visit to these shops! And if you wish to shop / eat / visit some of the most chic and fashionable places in Paris, we have a whole list for that too! 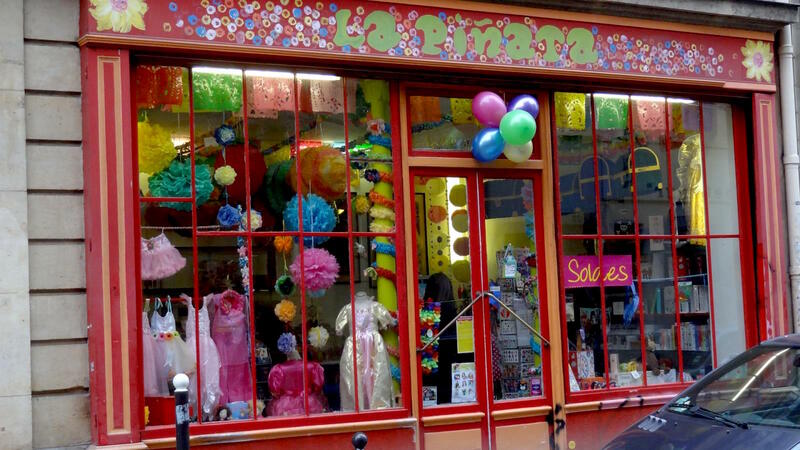 There is a shop dedicated to Piñata in Paris! Located near Canal Saint-Martin, this gem is a highlight of our tours by locals today! Elena Farah opened her piñata shop in 2002 and ever since, she never stopped providing these fun piñatas to piñata enthusiasts. Elena also organizes a workshop opportunity to work together with prisoners to make piñatas. During her visit to the prison, she would teach them how to make it. It truly gives them the opportunities to work on hands-on projects which also boosts their creativity! 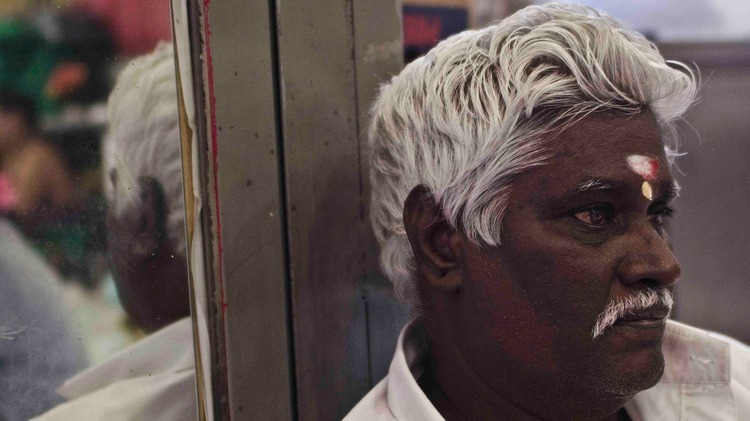 When you step into her shop, you will feel like you are brought back to your childhood. Full of colors and shapes, there is even piñata of Totoro! Even if you are not familiar with this culture of piñata, today should be your first day to visit the shop and start having real fun! Shout out to all the Americans visiting Paris! 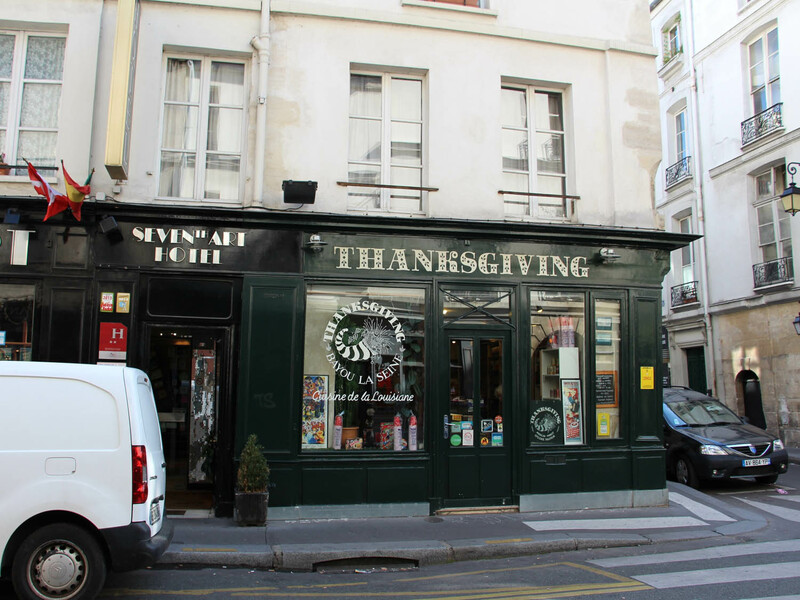 Or even anyone interested in celebrating thanksgiving in Paris or anyone wants to try one of the American goodies! Thanksgiving in Paris is the place to be if you are one of these three. It might not be the side of Paris for locals but we had to include it as part of our essential tours by locals! 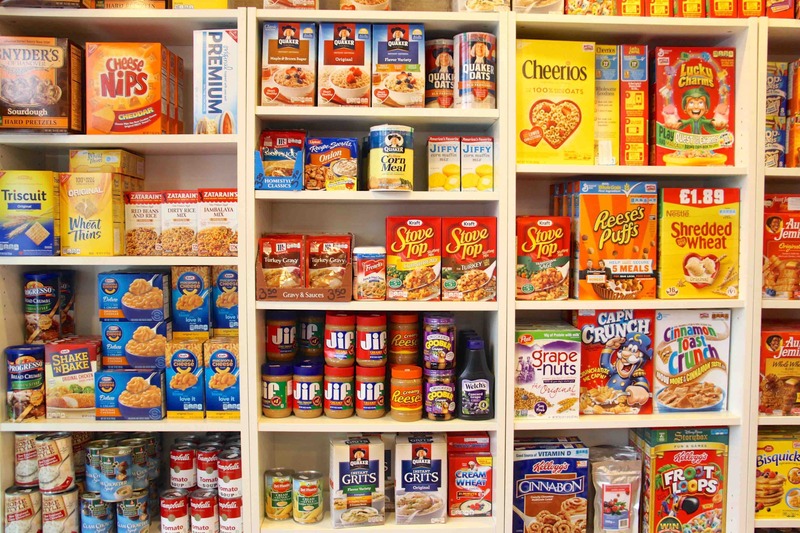 They also provide online platform for you to be comfortable at home and shop for beloved American products. During thanksgiving season, you can also get all the ingredients you need that you never thought it would have been possible in Paris! And how can cactus not be the essential? We all love these exotic green friends! 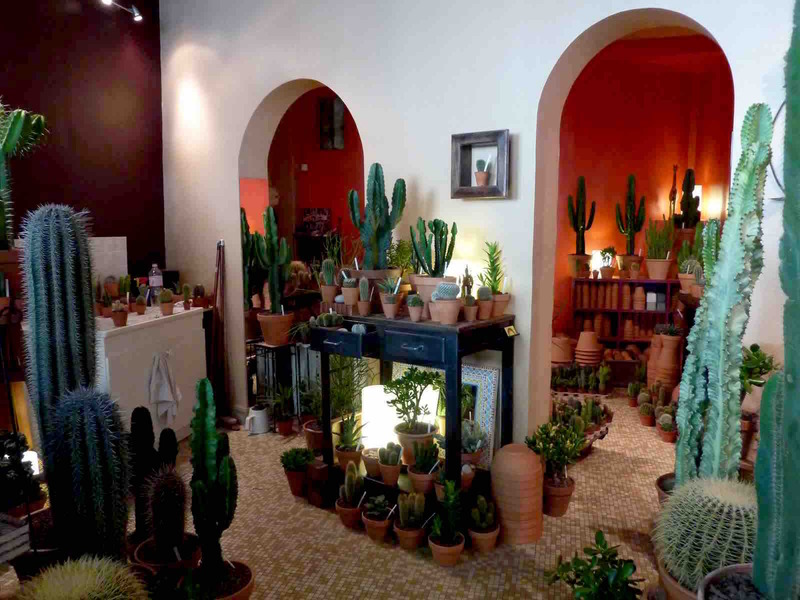 Les Succulents Cactus is located in the Marais district and as you might have guessed, the shop is filled with more than 300 species of different cactus. 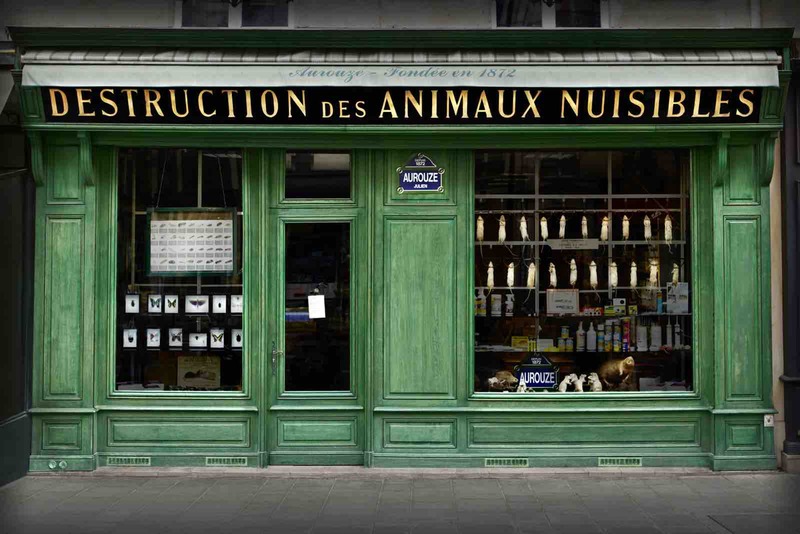 If you are having peaceful walking Paris tours around Marais district, you must stop by this place. Even if you don’t buy any cactus, just walk in and admire how beautiful each of them are! And if you wish to discover more about the 7th art (Cinema) made in Marais district, join Widetrip today to have the best paris tours for cinema! Now here is an interesting concept. 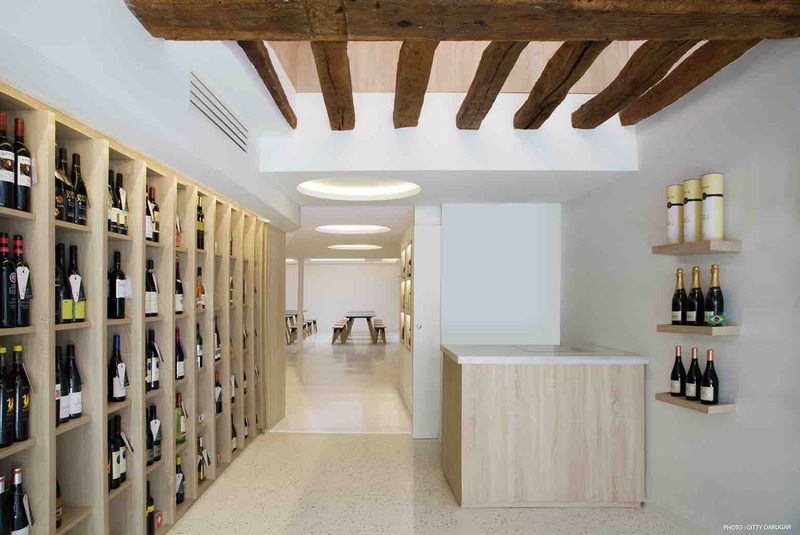 A wine shop in Paris selling wines from 40 different countries around the globe except from France. Everything you can find in this shop has been carefully selected by its owner and you can find some of the wines from countries that you never knew they produced wine! We thought that this shop would be the perfect spot to end our essential tours by locals because as you can see, it is dynamic and very unique in its concept and to add, look at the beautiful interior design. 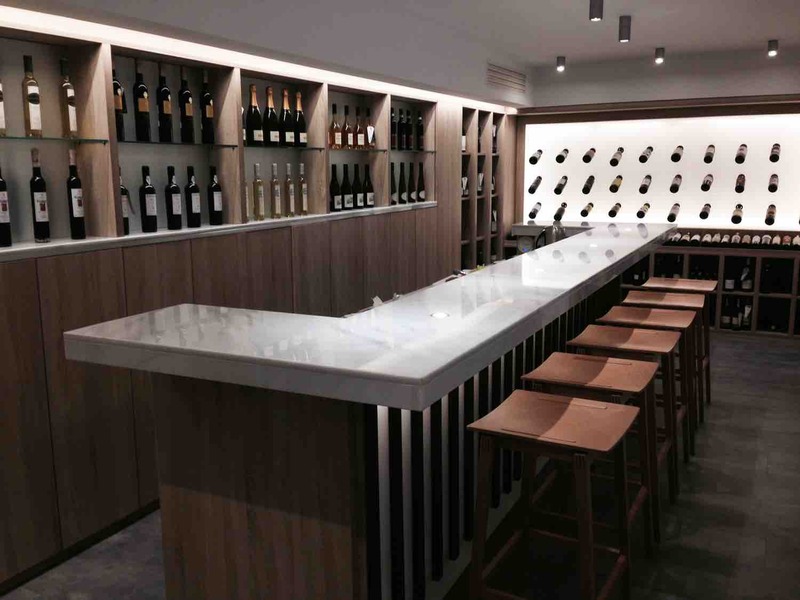 So visit Soif d’Ailleurs today to have one-of-a-kind wine experience in Paris. 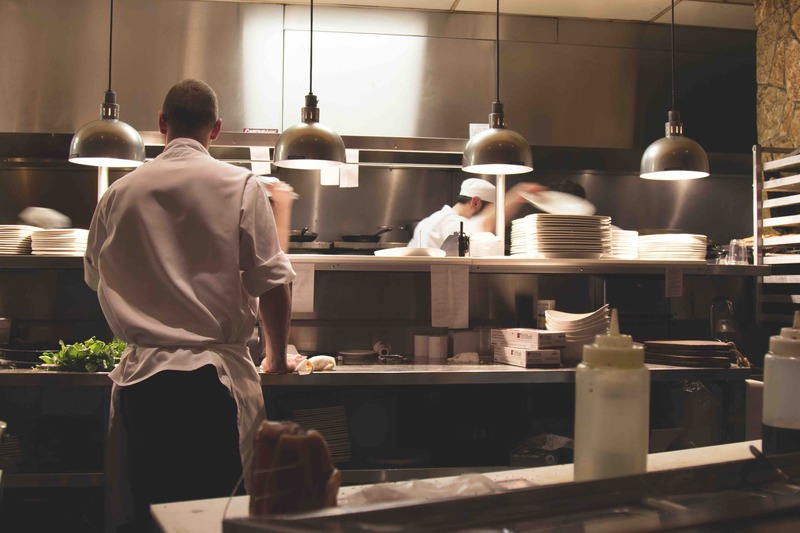 This part of Tasty tours by locals will bring you to one of the finest cuisines from Italy, France, Japanese, and Parisian! 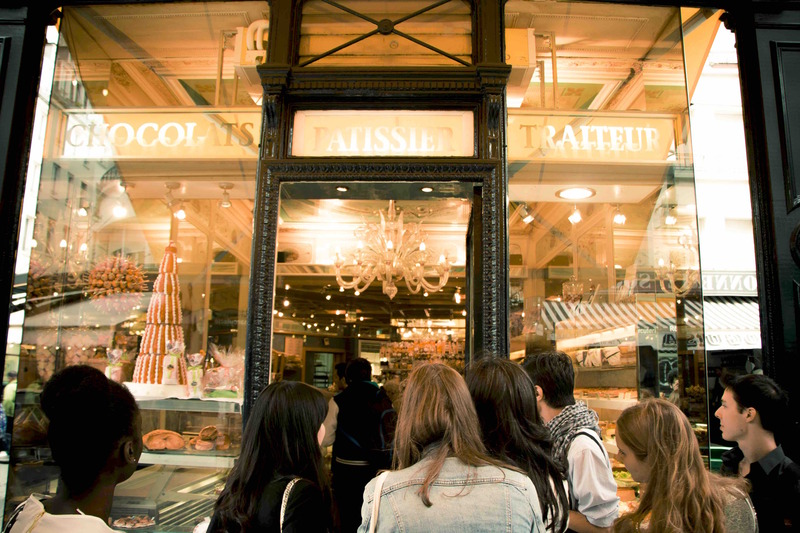 Tasty tours by locals are our favorites with no surprise and they really reflect the side of Paris for locals! And as usual, we have whole lists selected by our experts, of must-visit patisseries and boulangeries in Paris, and cafes in Paris that you must try before you leave town. Obviously, we will start with French cuisine. 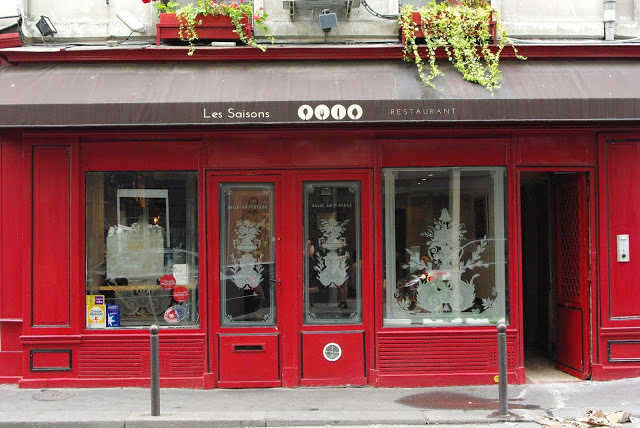 Les Saisons is one of the restaurants which appreciated by and popular among the local Parisians! We have decided to share this restaurant for our tour by locals today because it is a gem that you shouldn’t miss! This cozy French restaurant located in 9th arrondissement serves authentic French cuisine including amazing desserts and offers fantastic service. 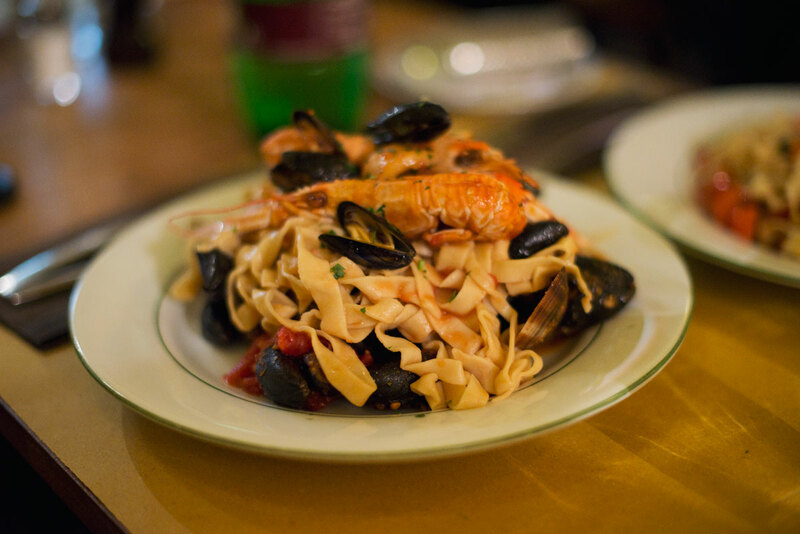 And if you are craving for some delicious pasta, L’Osteria Dell’anima is the place to dine! This little place will make you feel like you are invited over for lunch at your Italian friend’s home. 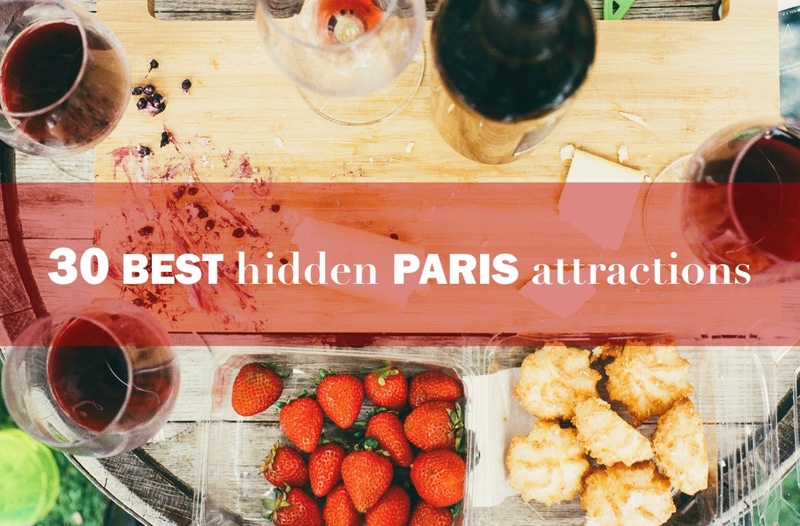 It is definitely one of the hidden Paris attractions for foodies! 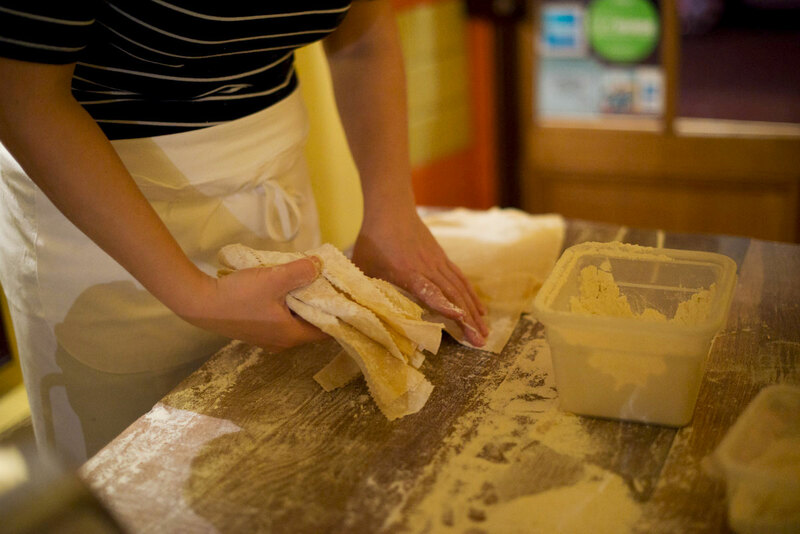 You will be greeted by friendly staff and the pasta-making table full of flour and get to observe how they make one. The menus are pretty affordable too. Obviously the home made pastas are their specialty but do try the other authentic Italian food including home-made sausage! Another French restaurant must be included in this tasty tours by locals, is the Foyer de la Madeleine. We must say that it might not be the best French food you will ever try but it will surely feel like one of the interesting and meaningful lunch! This canteen/restaurant is run by a group of volunteers from Madeleine Church and the profit from lunch goes to the funds to provide 4 course meal for homeless for 1 euro. And even for you, the lunch is very affordable at 8 euros if you subscribe for one-year membership card which will cost you 5 euros. To take this Tour by local more international, we have chosen best hidden Paris attractions for the Japanese restaurant. 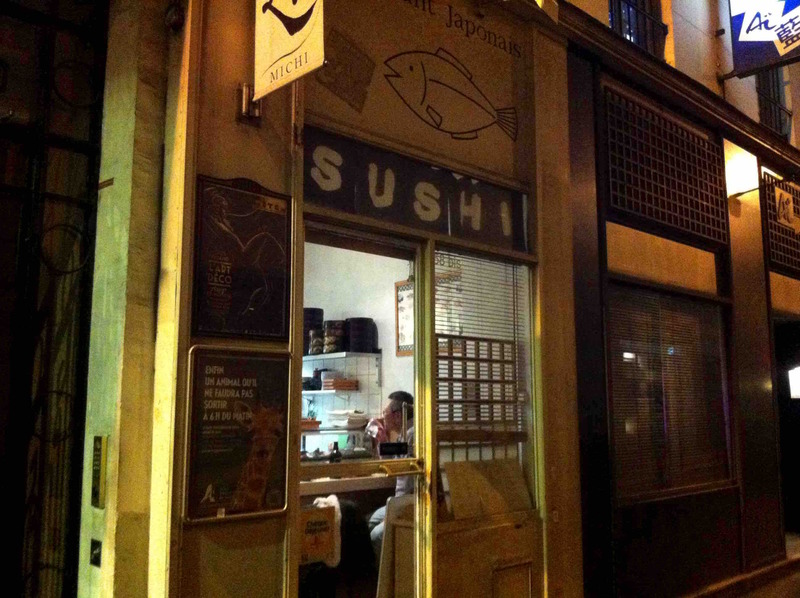 You might have realized that there are many Japanese restaurants in Paris. But not everywhere is considered authentic. Try Michi near Opera. 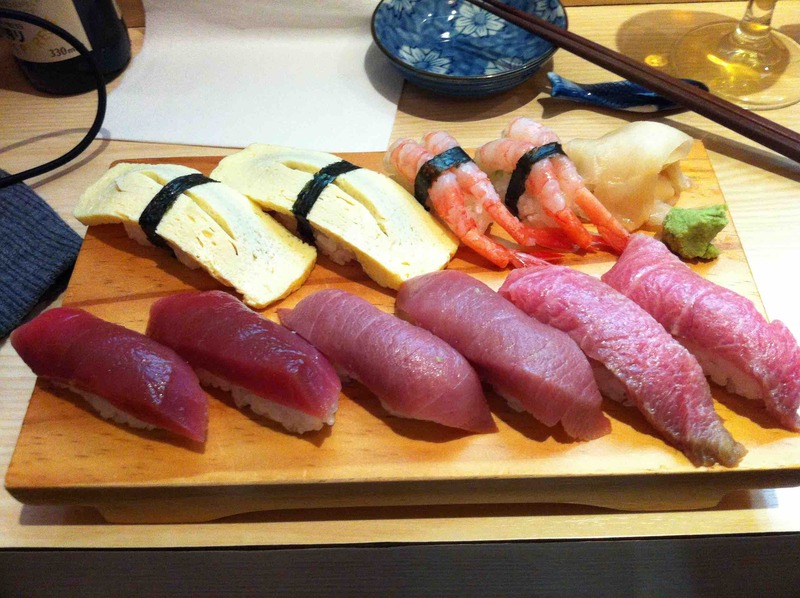 It is a tiny Japanese restaurant specialized in Sushi and other seafood. They have very limited number of seats and usually, they are full. Make a reservation before if you wish to visit. And since you will be near Opera, do join us for a walk of fame. We will have a nice walk to trace some of the most famous movie stars and their lives! Rue Mouffetard is one of the best places in Paris to actually be Parisian. 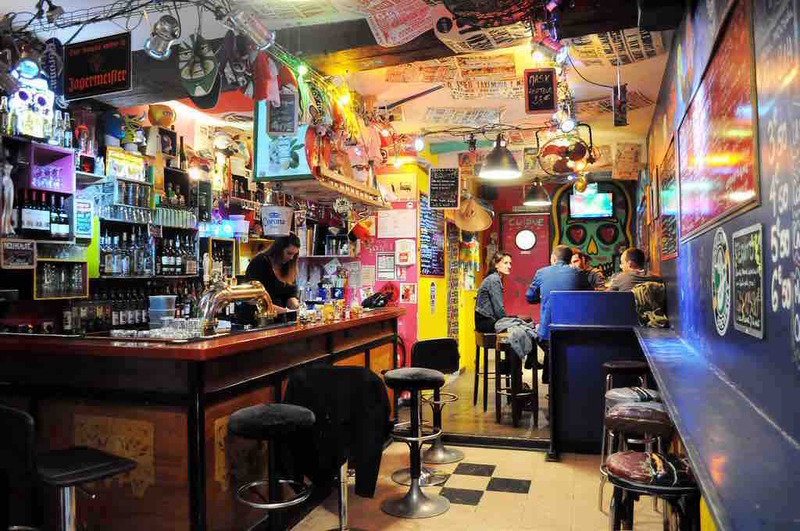 So if you wish to visit the side of Paris for locals, Rue Mouffetard will be the good choice! You can shop from Parisian markets, dine in the small bistro that welcomed locals for decades. 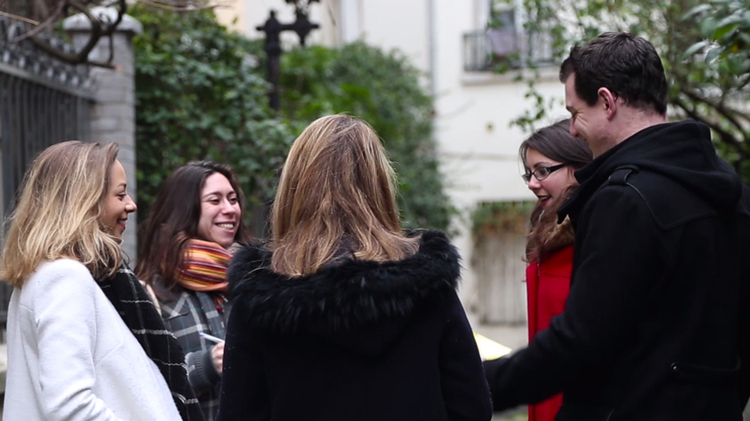 Or come with Widetrip today to find out more about Rue Mouffetard and what other pleasant surprises we might encounter! Rue Montorgueil is another good spot for a tour by locals! It is also called as a “Little Village” because you can almost feel that people go to shop for their cheese, have a coffee in a small café and most interestingly, the residents in this district know and work with each other just like in a village. 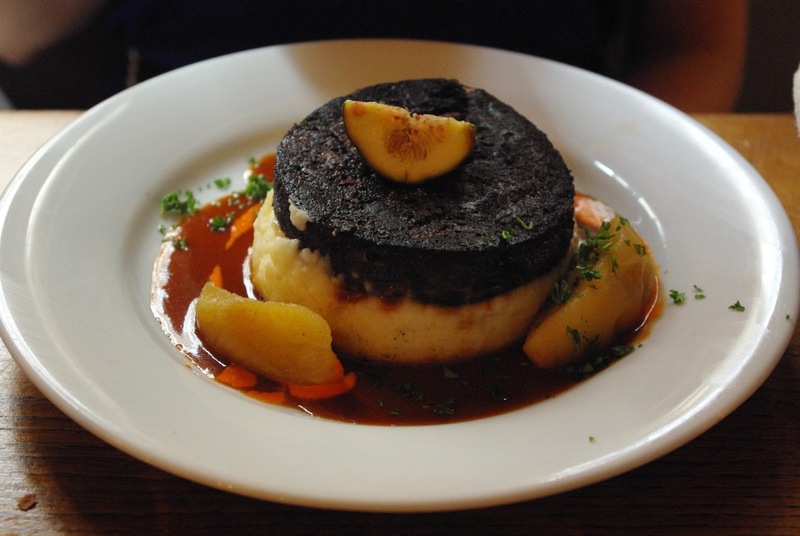 There are a lot of good French restaurants to try too. So, join Widetrip today to visit the little village in the heart of Paris. We hope you enjoyed our list of top secret Tours by Locals and we hope they were worth our risks. Once you clear these list of tours by locals, you will truly become Parisian! 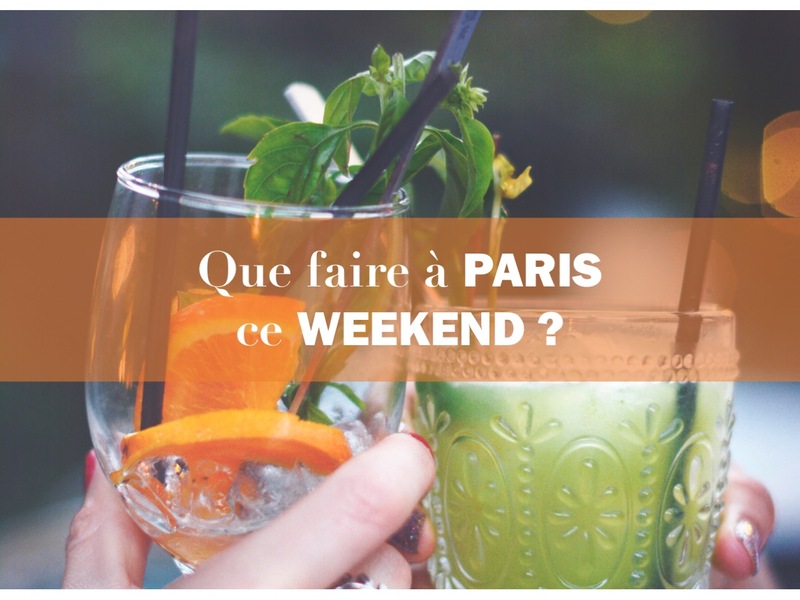 Also, if you are having a quick weekend getaway in Paris, check out our weekly-updated list of what to do this weekend?